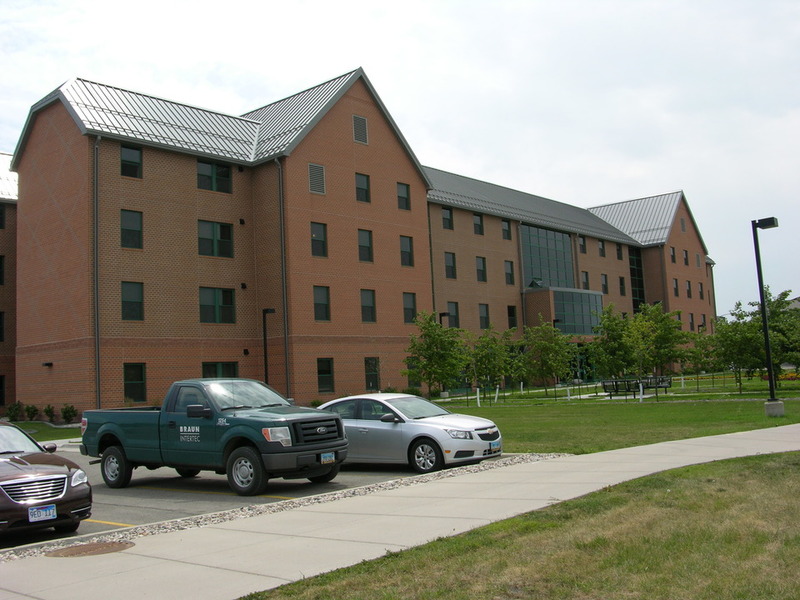 An expanding student population at North Dakota State University (NDSU) prompted school administrators to evaluate the existing housing and build the Living Learning Center West. The Living Learning Center West is a 73,937 square foot, apartment-style residential high-rise, which also contains classroom space. We were hired by NDSU to provide construction materials testing and nondestructive examination on the new structure. Working under a tight schedule to complete the project, our engineers and technicians were able to quickly mobilize the necessary technical expertise to troubleshoot problems as they arose, and provide timely turnaround on the testing of onsite soils and concrete. Part of our work involved performing soil observations to confirm that the soils being used for the project were consistent with those addressed in the geotechnical report, and that they were implemented in a way that would not negatively impact the project. Our nondestructive examination technicians performed structural steel inspections on the steel beams and columns to confirm proper configuration, examined the bolting and checked the beam welds to determine compliance with industry standards for construction. Now complete, NDSU’s Living Learning Center West comfortably houses up to 166 residents, providing a modern on-campus living experience.